Expect plenty of compliments while wearing this stunning pendant! 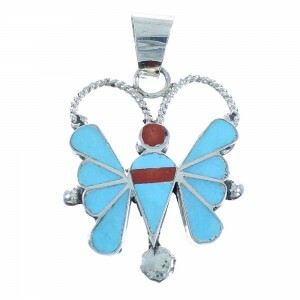 This piece of Native American jewelry is Zuni hand crafted by artist Clifton Bowannie, out of genuine sterling silver, along with real Turquoise and Coral inlay. 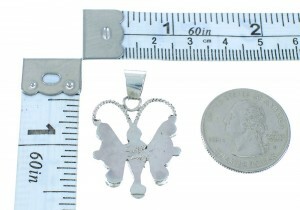 The inlay is gently set, creating a beautiful design of a Butterfly for a fabulous look. 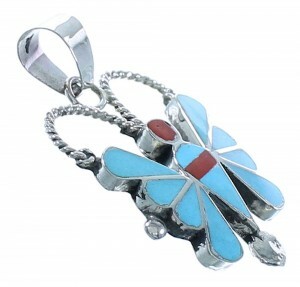 The pendant is signed zuni and hallmarked.